We understand the customer service is our job and we make a commitment to deliver exceptional service every day. We listen. We look for creative solutions to overcome service barriers. We look for opportunities to delight customers. In this video, Greg Doering, owner/broker of GDAA Property Management, talks to agents about how to increase their income and productivity level. What many investors don't know is that the sales agent that helped them buy their personal residences, can also help them buy investment properties. So basically, when you're calling through your database, you can remind your clients that you can also help them with investment properties. You'll never know how many people just might jump at the opportunity to let you know how much they would love your help. This is why it is important to let everyone in your network or database know that you can do this, in addition to helping them find their personal residences. This is the tip of the day from GDAA Property Management. We're here to make you look good. If you are in need of excellent property management services, sage property management advice or want to check out our available properties, please don't hesitate to call us or visit our website. Thanks for watching! Experience only the best and professional property management in Georgetown TX with us at #GDAAPropertyManagementLLC! Learn more about us and our services at http://www.gdaapm.com/round-rock-property-management. You can sign up for this and other educational offerings Greg teaches by selecting Education, under the Agent's Tab on our website. If you are buying property in Georgetown as an investment, the first priority is profit. You want to make as much money as possible, in the shortest amount of time. 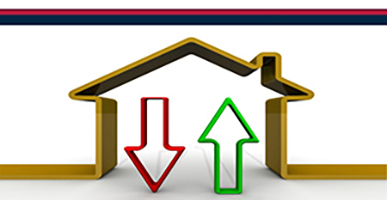 With real estate, you have several options for ensuring positive returns on your investment. It’s almost inevitable this difficult-to-detect pest will find its way into at least one of your properties over time. Here’s how to eradicate the problem before an infestation takes hold. Our Team is growing! We are looking for great people who are smart, innovative and have hearts towards others; individuals who believe in themselves, our systems, and the mission of GDAA Property Management, LLC. In this video Greg Doering, owner/broker of GDAA Property Management talks specifically to agents and gives them tips on how to protect the tenants when entering into a lease agreement. The first thing is, always have a firm written lease. Our company uses the Texas Association of Realtors leases that have very specific standards, dates and terms and conditions. It is fair to both the landlords and tenants, as well as holds both parties accountable for the terms and conditions in the lease. Next, make sure your client/tenant receives an inventory condition report. It's very important that they receive this and document the condition of the property. They will be held to this standard when they vacate the property, so everything that's wrong needs to be on that inventory condition report because they will be held accountable for it down the road. This also gives the baseline on what the property condition is before they moved in. Make sure that both you and your client understand that there is a deadline on when to return that report to the landlord. You need to make sure they get that report, fill it out then turn it in within the deadline, which is usually 48-72 hours upon receipt. The third tip, is to document the condition of the home with photos. It's not uncommon to take 100-150 photos of the home, either at move-in or move-out. Photos should be of the entire interiors and exteriors, including the condition of the lawn, shrubs and fences. This protects the tenant by establishing a baseline and in the unfortunate event of a court case at the end of the lease, so it is important to have "before" and "after" photos of the property. We hope these tips were very helpful. If you need excellent property management services, sage property management advice or want to check out our available #RoundRockHomesforRent, please don't hesitate to give us a call or visit our website. Thanks for watching! The #NARPMCentralRegionEducation offers exceptional education courses that are essential to your professional performance and advancement. NARPM offers courses taught by experienced educators who are active NARPM members and principals in their own property management companies.They also bring practical knowledge to the classroom to enhance the learning process. I am Greg Doering, Central Region Vice President for #NARPM, and I am here with Alyzon at the Texas Style State Conference. She is here to talk about the benefits of attending conferences like this and the benefits of affiliating with NARPM or the National Association of Residential Property Managers. Alyzon says that just after three days of being a NARPM member, she already feels very knowledgeable, ready and prepared to go back to San Antonio to provide her property owners and tenants with the great information she feels will be very beneficial to them as well. She has in fact, already signed up to attend two more conferences as well and feels that these are really great things to be part of. Being a member of NARPM is just the first step towards a journey that will help any new property manager professionally and hopefully profitably as well. So we encourage all to become a member, broaden your horizons and achieve real estate success!